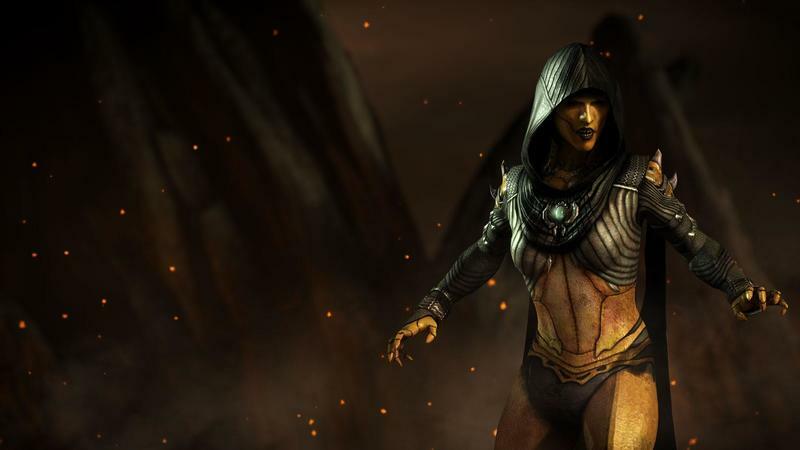 NetherRealm Studios has released a whole new batch of character biographies for Mortal Kombat X including two newly announced characters. In one corner, we have the recently leaked Hollywood mega-star Johnny Cage looking to capitalize on the tournament’s publicity, and you know, save the world and stuff. In the other corner, we have the terrifying Mileena who just wants to rip your face off. 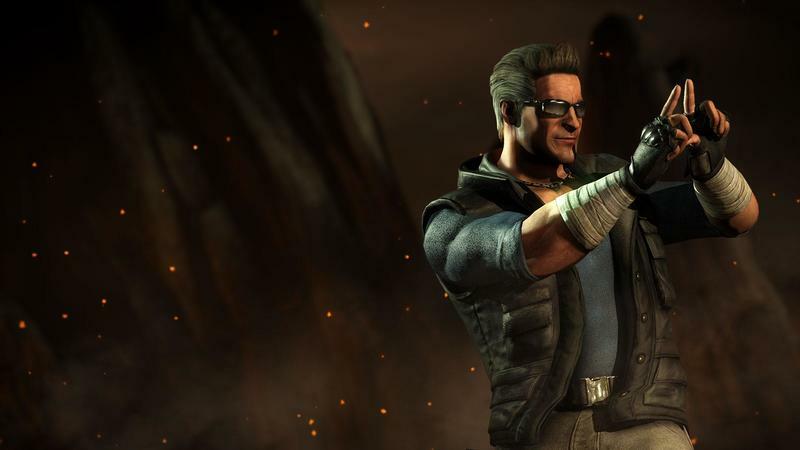 Johnny Cage – Hollywood action hero Johnny Cage entered his first Mortal Kombat tournament for the publicity. Raiden observed that the arrogant, loquacious Cage, was ‘a hero. .. though he may not yet know it.’ Raiden was correct, of course: Johnny’s martial arts skills were not special effects–and were pivotal in EarthRealm’s victory. 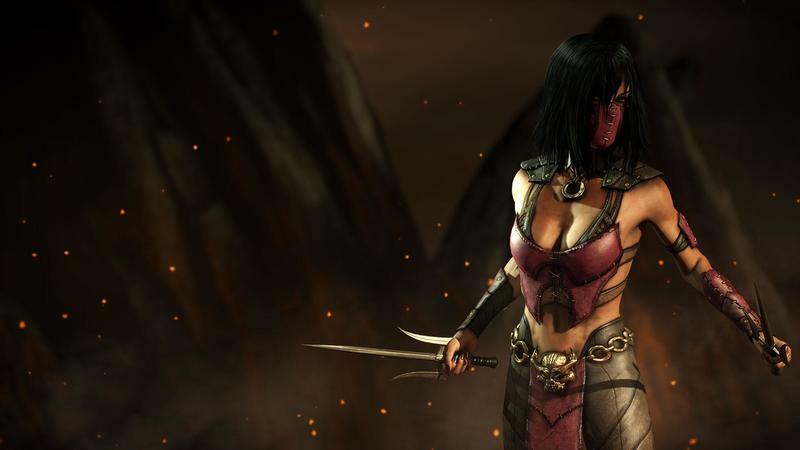 Mileena – Perceiving a lack of loyalty in his adopted daughter, Kitana, Shao Kahn ordered Shang Tsung to create a replacement, a daughter worthy to be his heir. Shang Tsung fulfilled Shao Kahn’s order by fusing Tarkatan DNA with Kitana’s. The resulting hybrid Mileena is as bloodthirsty and vicious as a Tarkatan, but possesses the martial artistry and poise of an Edenian. Other character bios feature familiar faces we’ve seen included in screenshots and trailers already. 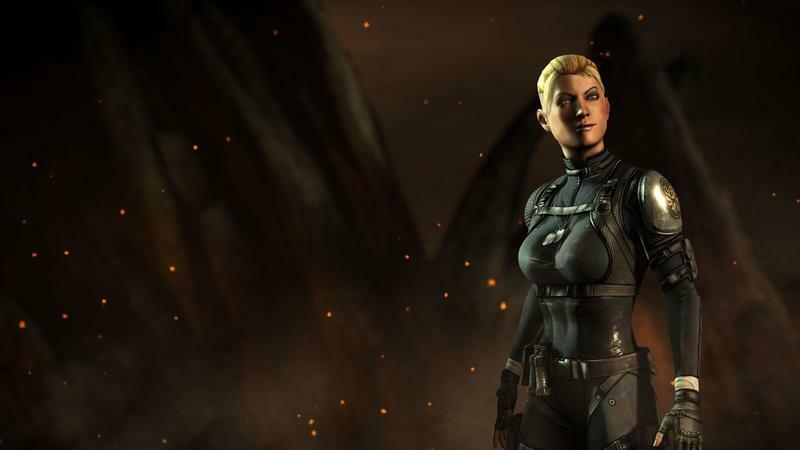 Cassie Cage – The daughter of Johnny Cage and Sonya Blade, has a lot to live up to. Her parents were among the few kombatants to survive the wars against Outworld and NetherRealm, and were instrumental to EarthRealm’s victories. Cassie is as strong-willed–and occasionally hotheaded–as her mother; and as quick-witted as her beloved dad, which makes her popular within her Special Forces unit. D’Vorah – Is of a race called the Kytinn, which populates the island realm of Arnyek. The solitary nature of the Kytinn meant a common defense of their realm was impossible; thus it was conquered and merged with Outworld by Shao Kahn. D’Vorah’s loyalty and insightfulness, unusual traits for a Kytinn, led to her quick political rise. 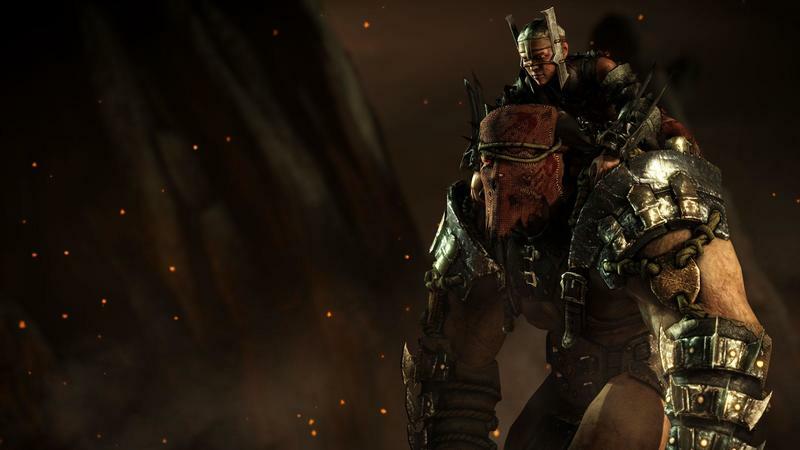 Ferra/Torr – The dual being known as Ferra/Torr is mysterious even to their closest allies. It’s rumored that Torr and Ferra were Outworld citizens, captured and permanently tethered to each other by the evil sorcerer Shang Tsung in the bowels of his Flesh Pits. They’re more likely members of a forgotten symbiotic race, in which the ‘rider’ bonds with a ‘mount.’ The rider, Ferra, serves as the de facto brains of the duo, while the hulking Torr is the muscle. It’s possible they communicate with each other telepathically, or that Ferra can actually understand Torr’s booming grunts. Found roaming the Tarkatan Wastes by Kotal Kahn’s troops, Ferra/Torr were pressed into service as the emperor’s personal bodyguards. Kotal Khan – Kotal Khan was a young boy in the warrior realm of Osh-Tekk when it was merged with Outworld by Shao Kahn. He grew up admiring the Outworld emperor. But Kotal kept hidden from Shao Kahn a secret Osh-Tekk portal to EarthRealm. 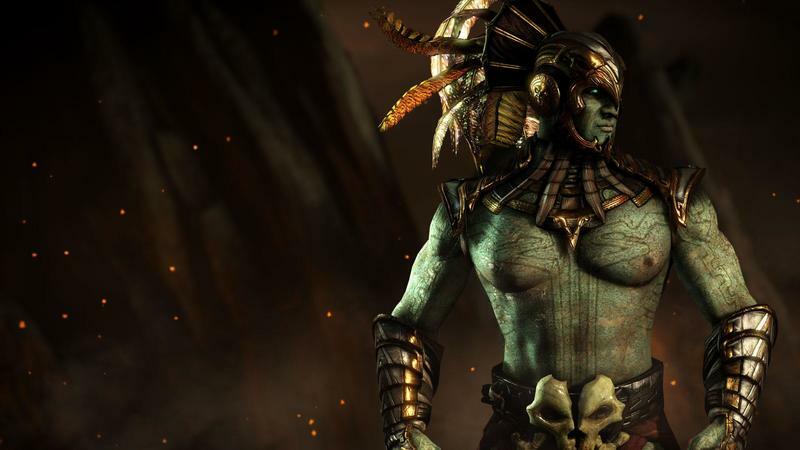 Kotal’s ‘magical’ appearances and demonstrations of great power in EarthRealm led its inhabitants to declare him a god, whom they called Buluc. After Shao Kahn was killed in the war with EarthRealm, Kotal served Shao Kahn’s heir Mileena. But her instability eventually led Kotal to overthrow her and assume the emperorship. Kano – Kano is a member of the Black Dragon, a group of international arms dealers. Sonya, Jax and the Special Forces have been trying to shut them down for decades. Though he’s from EarthRealm (Australia), Kano usually sides with his home realm’s enemies. In the past he provided high tech weapons both to Shao Kahn’s Outworld armies and Shinnok and Quan Chi of the NetherRealm. After Shinnok’s defeat Kano returned to Outworld, keeping a low profile but making a tidy profit running guns from Earth to Outworld. Raiden – Raiden is the God of Thunder and the Protector of EarthRealm. Millennia ago he and the Elder Gods defeated Shinnok, who sought dominion over the realms. 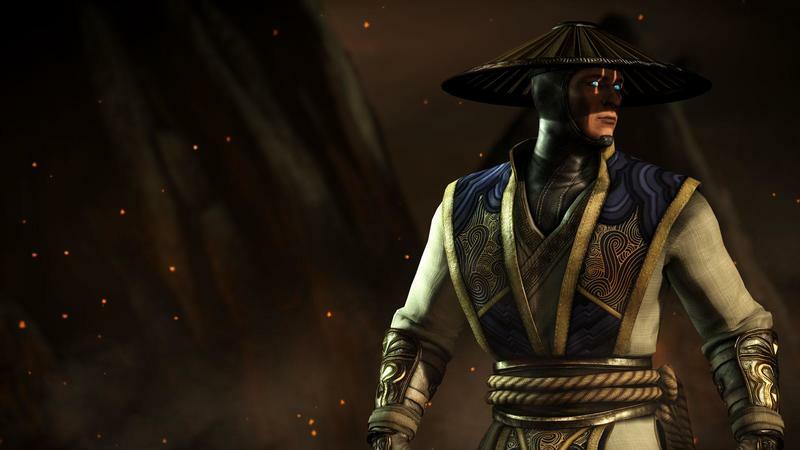 More recently, Raiden thwarted Outworld’s attempts to conquer and merge with EarthRealm. However victory came at great cost. Many of Raiden’s closest allies were killed in the battle. Raiden’s strength was further tested when an escaped Shinnok’s NetherRealm armies attacked an EarthRealm weakened by war. Ultimately Raiden imprisoned Shinnok again–this time in Shinnok’s own Amulet. Scorpion – Hanzo Hasashi was a member of the Shirai-Ryu assassin clan until they and his family were killed by Sub-Zero of the rival Lin Kuei clan. Hanzo’s soul was claimed by the NetherRealm sorcerer Quan Chi, who resurrected him as the revenant Scorpion and gave him the chance to avenge his family’s deaths. Sub-Zero – Kuai Liang and his older brother Bi-Han served the Lin Kuei assassin clan faithfully until the first Mortal Kombat tournament. 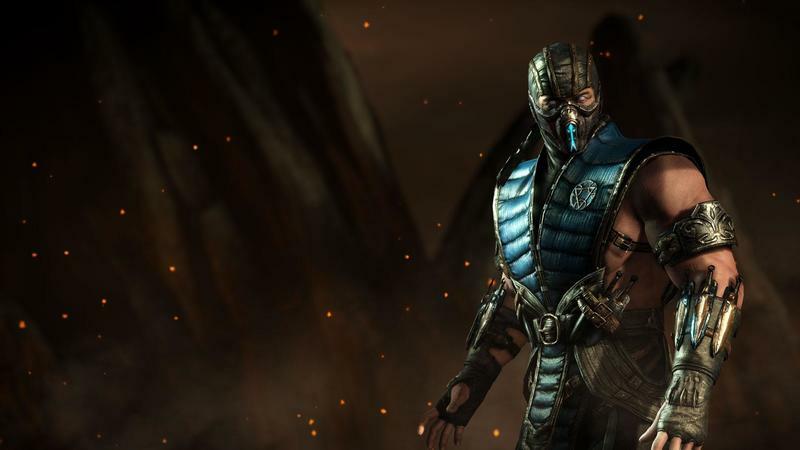 There Bi-Han, code-named Sub-Zero, was killed by the demon Scorpion. 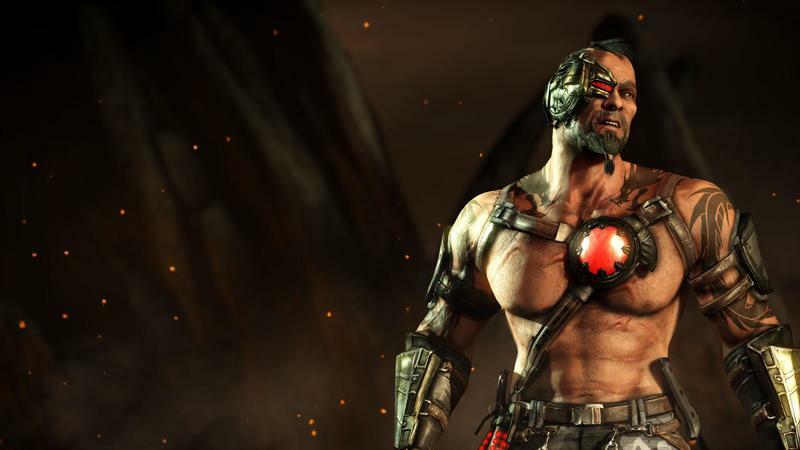 Kuai Liang assumed the Sub-Zero mantle and went to Outworld to find his brother’s killer. I’m not entirely up to speed on the cast and lore of Mortal Kombat, so my memory is fuzzy as to who has not yet been confirmed. The last game I invested serious time into the franchise was Ultimate Mortal Kombat 3, and that game had an enormous roster of weird characters. The three assassin robots – Cyrax, Sektor and Noob Saibot – have yet to be confirmed for a return, and the masked Kabal and the metallic armed Jax come to mind. The word is still out on Liu Kang as well, but one element of Mortal Kombat’s lore I am familiar with is that the creators often find ways to kill him and bring him back. Seeing how closely related DC Comics and Mortal Kombat are these days, it’s something that the two brands obviously share under the Warner Bros. umbrella. How are things now? Is he alive or dead? 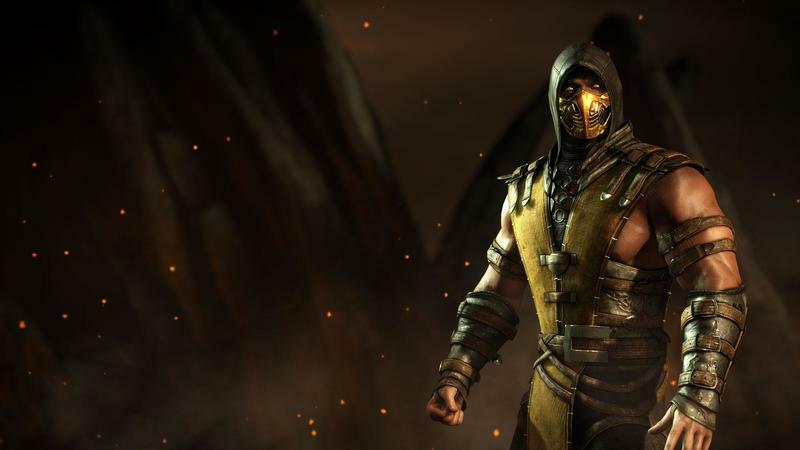 Mortal Kombat X will be released for the PlayStation 3, PlayStation 4, Xbox 360, Xbox One, and PC on April 14.